Home Archive by Category "ESSAOUIRA"
A two-hour, door-to-door private transfer in a Wi-Fi equipped car from Marrakesh to Essaouira. Mineral water and photo stops included. Your driver will await you with your name visible on a sign board in your hotel lobby or the airport departure lounge to assist you with your luggage. Clean, new, comfortable, and private vans comply with national and international safety regulations and are all fitted with air conditioning, and mineral water. The transfer will take approximately two hours. Pre-booking this service will save you time and effort by ensuring an affordable fixed price for private, door-to-door transfer from Marrakech to your accommodation in Essaouira. You can relax and trust that you will be driven safely. The classic Hippie trail was the overland route from Europe to Asia and it started with Istanbul (Turkey) and then followed Lebanon, Iran, Afghanistan, Pakistan (Chitral), India (Kashmir,Manali,Goa), Kathmandu (Nepal). There was also the route to Morocco, North Africa.A common factor of theese places was among others the access to locally produced cannabis and a local culture of using it. The hippie subculture was originally a youth movement that arose in the United States during the mid-1960s and spread to other countries around the world. The etymology of the term ‘hippie’ is from hipster, and was initially used to describe beatniks who had moved into San Francisco’s Haight-Ashbury district. Both the words “hip” and “hep” came from African American culture and denote “awareness”. The early hippies inherited the countercultural values of the Beat Generation, created their own communities, listened to psychedelic rock, embraced the sexual revolution, and some used drugs such as cannabis, LSD and magic mushrooms to explore altered states of consciousness. Essaouira was discovered by the hippie movement in the late 1960’s and early 1970’s. Rock stars such as Jimmy Hendrix and Cat Stevens visited the town and the Living Theater of Julian Beck and Judith Malina found a home there for a time. Because of the presence of such celebrities, Essaouira became a destination for young people and artists who left an important mark on the cultural tourism that would develop later. The Living Theater, which combined elements of stage and visual arts, along with the psychedelic paintings with which hippies decorated the walls of their rooms, is thought to have inspired the first generation of Souiri painters: Boujemâa Lakhdar, Houssein Miloudi. It has also influenced the post-psychedelic Tribal or Gnaoua style typified by Mohamed Tabal and now closely associated with the culture of the city. Yet the hippie “boom” was short-lived and could not forestall the city’s long decline. For clients who value comfort, safety, speed and efficiency whether traveling for business or for pleasure we offer a private Essaouira Airport Transfers services between Essaouira Airport, hotels and all other Transfers in Essaouira , And also, transfer to Marrakech hotels & Agadir, Essaouira, casablanca, Ouarzazate, Imlil, and all other moroccan cities. 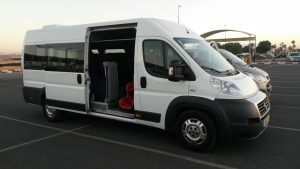 We guarantee that our Private Essaouira Airport Transfers prices are cheaper than any of our competitors for the same quality and standard of service. Therefore, our private Casablanca Airport transfers service is second to none. Enjoy private Transfers in Essaouira to visit an Argan Cooperative and Take a guided to visit the harbor 18th-century and explore the old medina with its colorful markets and jewelry quarter. 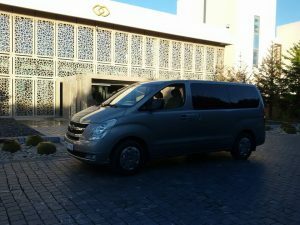 In addition to our transfers in Essaouira services, you can also hire your private vehicle or Taxi to travel to all locations from Essaouira , And also, transfer to Marrakech hotels & Agadir, casablanca, and all other moroccan cities. .We provide free child car booster seats free of charge. .All Service charges and taxes Excluded. After your family or friends has collected their luggage and passed customs, the driver will be waiting for you in the arrivals hall. He will be holding a sign with the Lead Passenger’s name. If your flight is delayed, your driver will know about it and adjust the pickup time from Essaouira Airport based on the new flight arrival time. We offer a free cancellation and flexible policy. For transfers from/to Essaouira Hotels to other destinations not listed Or you are traveling to Essaouira Hotels from a different pick up point please contact us.